Investors continue to use technology companies as a proxy for risk, but we need to consider the value of individual stocks in the sector. As we survey the recent sell off in US tech outside our portfolio, we believe many of the share price falls are justified by company valuations. However, we still believe our holdings of Facebook, Apple and Google, trading on 10x forward operating earnings (relative to enterprise value) as very cheap given their strong growth outlook. It seems many investors have thrown the baby out with the bath water. 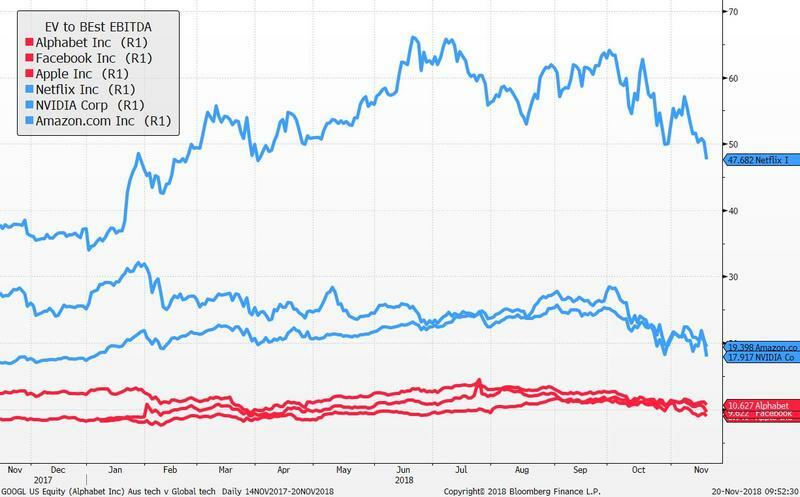 The chart below highlights the chasm between the “cheap” tech of Apple, Facebook and Google and the “expensive” tech of Amazon, Netflix and Nvidia. For Facebook investors, two key statistics to monitor are whether the negative news flows place downward pressure on user growth leading advertisers to exit the platform and secondly, whether the migration of advertising from traditional forms of content (eg TV and print) to new platforms like Facebook slows. 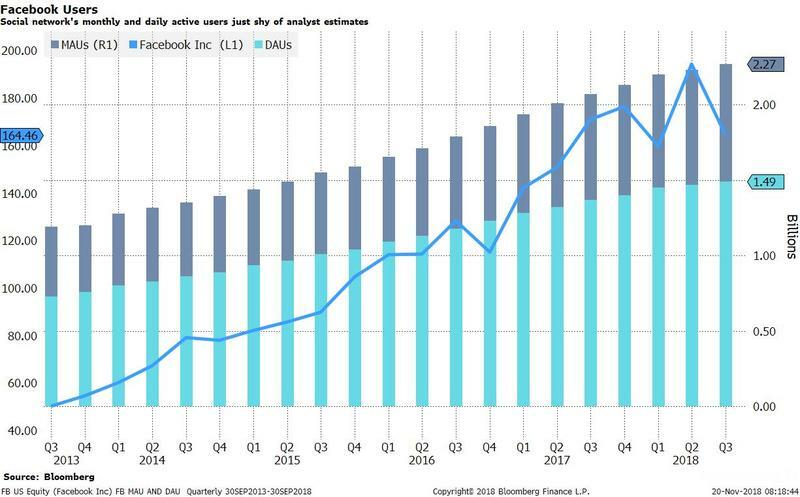 Monthly active users and daily active Facebook users from the most recent quarter highlight roughly 2.3 billion users and 1.5 billion users engaging with the platform respectively. Facebook is still one of the most effective forms of advertising and we do not believe the latest crisis changes the value proposition for advertisers. We added to our positions in Alphabet and Facebook on recent weakness.